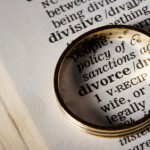 Learning to trust is one of the biggest challenges that individuals face after divorce. Experiencing the breakup of your marriage can intensify trust issues. Because of your past experience, you might approach relationships warily and come to expect the worst. It may seem at times as if you’re wired to recreate the past. However, with courage and persistence, you can learn to trust again and restore your faith in love. One of the hardest things about trusting someone is learning to have confidence in your own judgment. Trust is about much more than catching your partner in a truth or lie. It’s about believing that he or she has your best interests at heart. Every person is born with the propensity to trust others but through life experiences, you may have become less trusting as a form of self-protection. The breakup a marriage can set the stage for feelings of mistrust – even if you’ve never had trust issues previously. After a marriage ends, especially if you’ve endured infidelity, it’s normal to doubt your ability to trust yourself and others. Meeting someone new and dating again can be invigorating but scary at the same time. An inability to trust a new partner may take on several forms – ranging from feeling they are dishonest or secretive or doubting they are going to keep their promises or be dependable. Do you sometimes feel that love is easily broken and fear that it will disappear despite everything you do? Mistrust is a lingering feeling in the back of your mind that your partner does not truly love you, or might abandon you. So much about trust is walking the talk. You ex-spouse may have told you that he or she loved you, but did their actions support that? In his new book, The Science of Trust, relationship expert Dr. John Gottman challenges the way most of us define trust. He says that trust is an action rather than an idea or belief – more about what our partner does than what you or I do. Kelly, is a thirty-something married teacher whose first marriage ended due to infidelity. She married Mark after a brief courtship and often reacts with fear and suspicion when he returns home late from work or there’s the slightest imperfection in his story. Kelly has a tendency to blow things out of proportion when she says “You’re always late and you don’t care about me.” In the past, Mark reacted negatively to these accusations, but he has learned to reassure Kelly and now calls her if he’s going to be late. Mark is working on showing Kelly through consistency in his words and actions that he is there for her. Likewise, Kelly must learn to examine her thought processes. Is her self-doubt and mistrust grounded in reality or a fragment of her past? She must be willing to let go of self-defeating thoughts – to free herself from the blueprints of her past. Challenge mistrustful thoughts. Ask yourself: is your lack of trust due to your partner’s actions or your own issues, or both? Trust your intuition and instincts. Have confidence in your own perceptions and pay attention to red flags. Gain awareness about how your reactions may be having a destructive impact on your relationship and take responsibility for them. If your partner lets you down, don’t always assume that a failure in competence is intentional – sometimes people simply make a mistake. Listen to your partner’s side of the story. Make sure your words and tone of voice are consistent with your goal of rebuilding trust. Learning to trust is a skill that can be nurtured over time. With courage and persistence, you can turn hurts from past betrayals into lessons. What obstacles have you faced or what successes have you had rebuilding trust after your divorce?